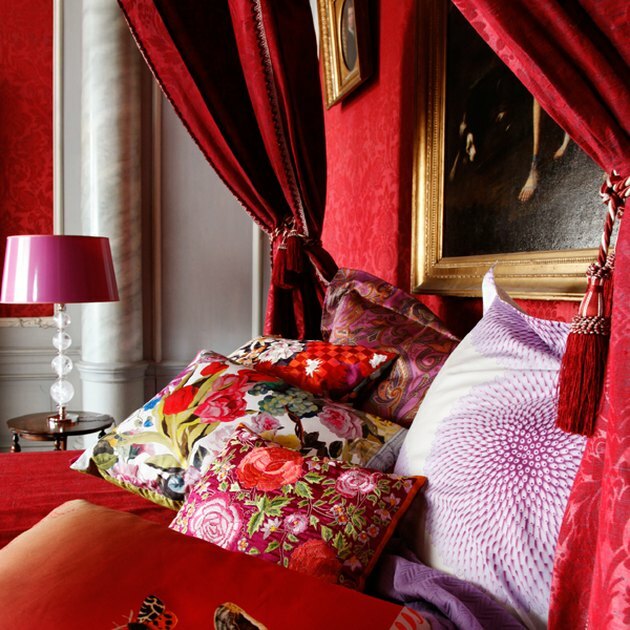 When we think of red and pink decor, our imaginations tend to conjure up nightmarish and tacky Valentine's Day themed scenarios — but don't be so quick to judge. While balancing the two hues together in one room is a tricky tightrope to walk, when done right, the result is a vibrantly rich color palette that warms and excites. Surprisingly, the passionate duo can actually be quite modern and chic. 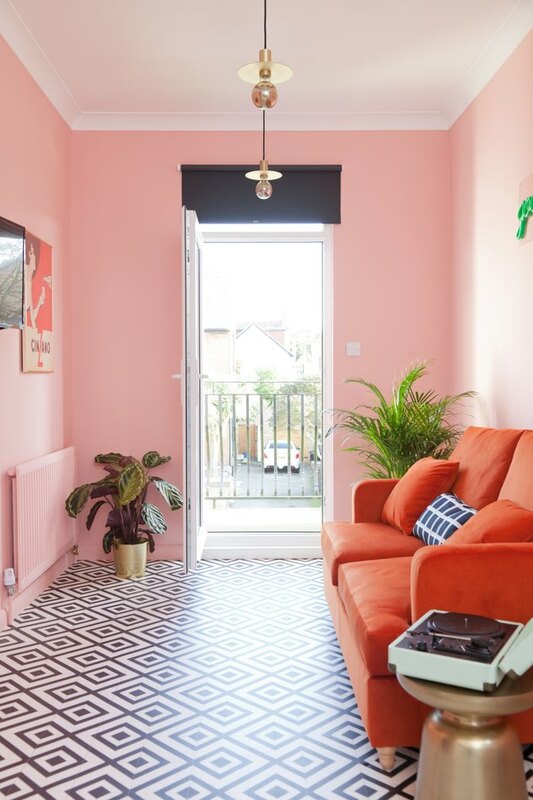 From velvet upholstery to floral motifs, we've found 13 stunning and inspiring ways that you can combine red and pink into your beautifully modern abode. 1. Sumptuous velvet is your friend. The No197 Chiswick Fire Station in London knows a thing or two about steamy interiors, and we are taking notes. 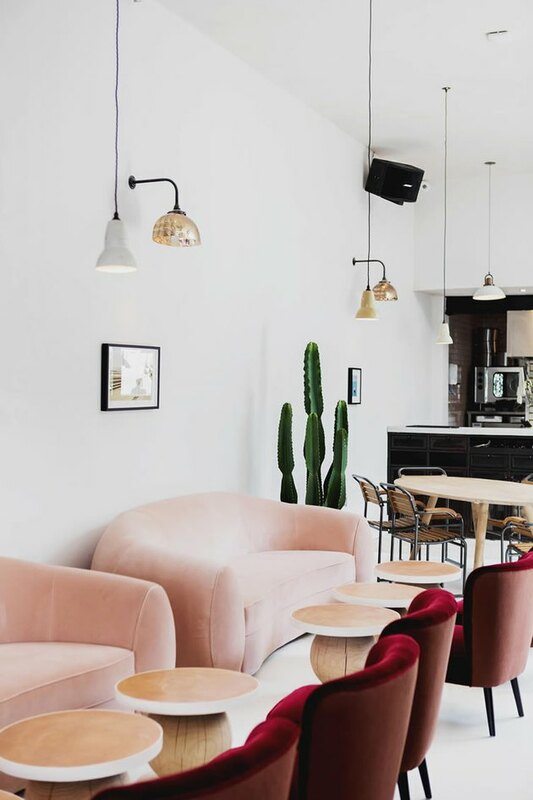 This hot restaurant carefully balances red and pink by using velvet upholstery on chic curved furniture. 2. Keep it grounded with wood accents. Bird, a well-known Brooklyn boutique, has opened up shop in sunny California and we're all fired up. 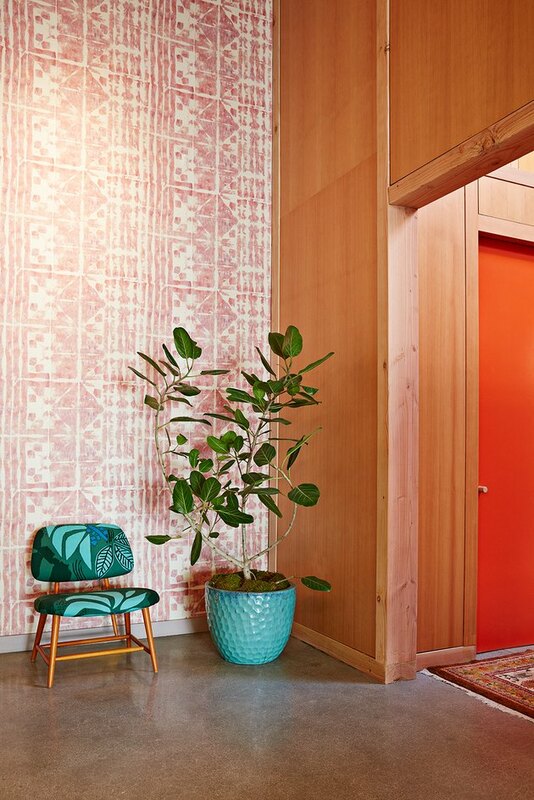 This modern, bohemian-inspired brick-and-mortar uses interesting patterns, and color blocking, to balance the dynamic color duo. Red dressing room doors framed by warm Douglas fir walls create the perfect backdrop for an accent wall covered in pink geometric print wallcovering. 3. Break it up with a gallery wall. 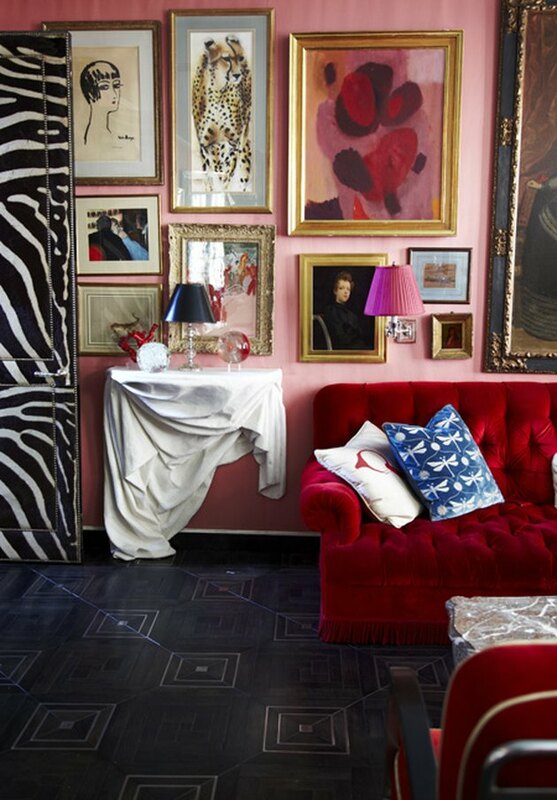 Pairing pink walls with a bright red sofa might seem like a terrible mistake. However, interior designer Miles Redd's living room is picture-perfect proof that the bold choice can work. By curating a diverse gallery wall full of competing colors, Redd was able to keep this daring color combo from becoming too overbearing. 4. Go big, then go to bed. Swathed in fabric — from upholstered wall panels, to an opulent bed canopy, to luxurious bedding — this beautiful bedroom is red hot. Complemented by pink radial-patterned pillow shams, accent pillows with colorful floral motifs, and hot pink lamp shades, these sleeping quarters rate high in decadence and drama. 5. Create sophistication with layers. Pick one color as your base, and then slowly layer other colors on top of that. 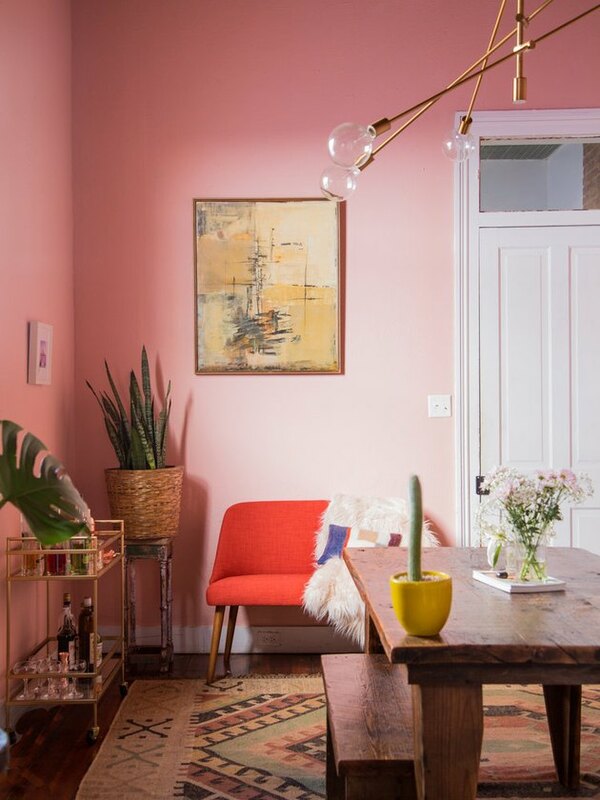 In this case, pink walls were paired with a red settee and an eclectic assortment of decorative accents to create a rustic, yet glamorous dining room. 6. You only need a pop of color. 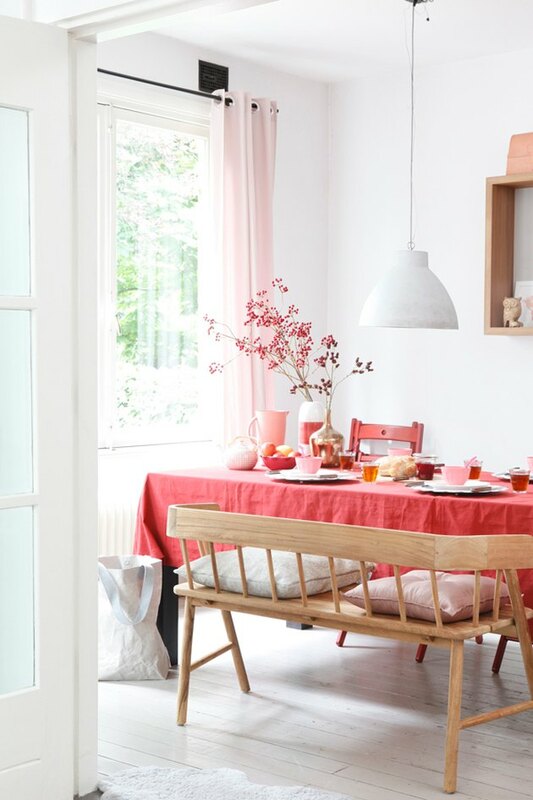 We just love this bright picturesque Scandinavian dining room. The vivid red table cloth, chairs, and floral flourish really pop against the crisp white walls and pale pink drapery. 7. Opt for a nearly monochromatic palette. Sitting pretty becomes second nature when your living room is a blend of midcentury charm and bohemian flair. Surrounded by cacti of all shapes and sizes, this pretty in pink (nearly monochromatic) sitting room is brought to life by pops of red in a woven wall hanging and a unique crimson area rug. 8. It's okay to start small. If you're still feeling uneasy about this rosy-hued color palette, try it out in a small space first. 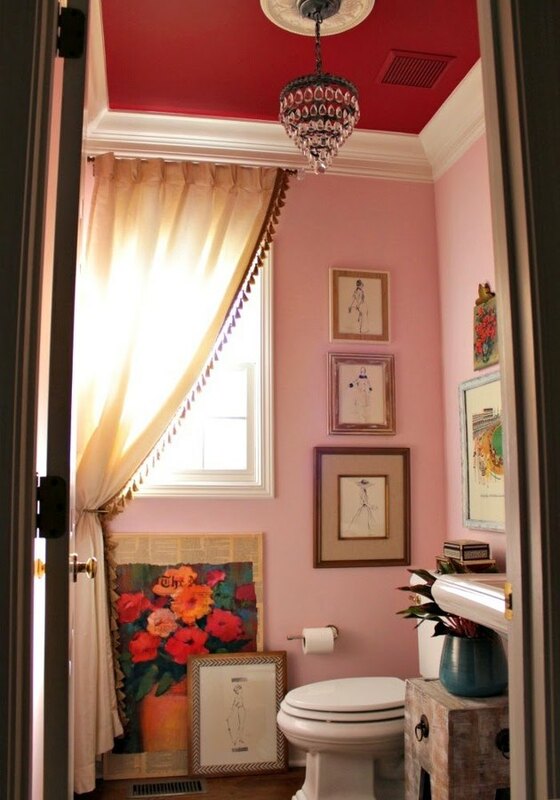 A little powder room like this one presents the perfect opportunity to dabble with the unique color combo before going all in on your living room. 9. Have fun and be playful. While the color red is vibrant and stimulating, pink is more calming — so the two hues are actually a match made in nursery, or playroom, heaven. Opt to keep the walls neutral like Emily Henderson did with this adorable Sissy and Marley wallcovering to balance it all out. 10. Feel free to express your inner flower child. Don't worry, be happy. 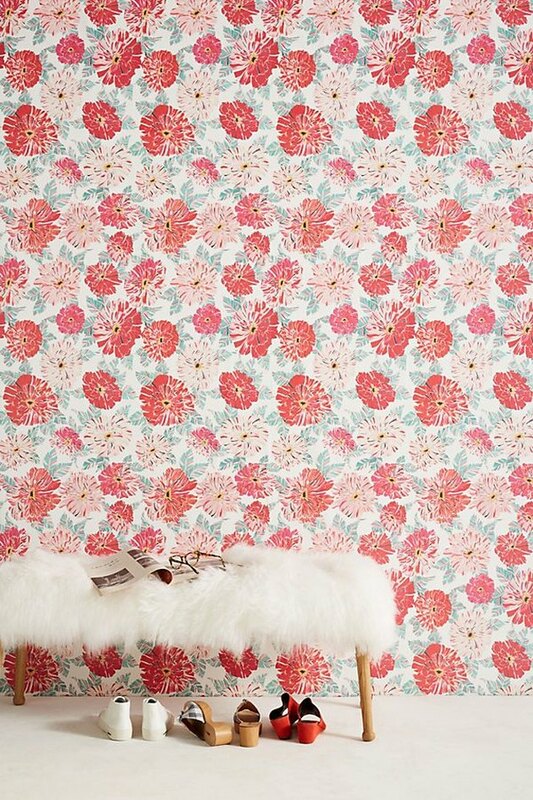 Your pink and red space will be an interior design hit with this lovely floral wallcovering from Anthropologie. 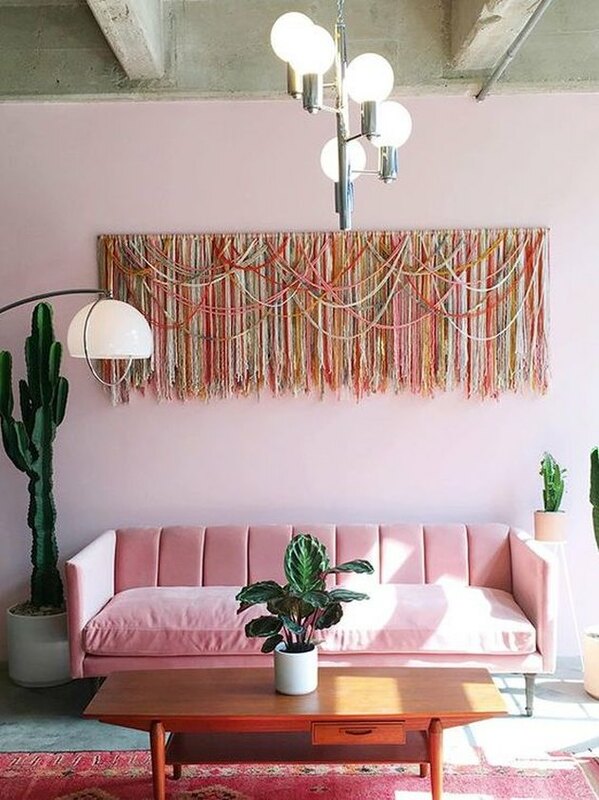 Pink reigns supreme in this living room, and that's okay. 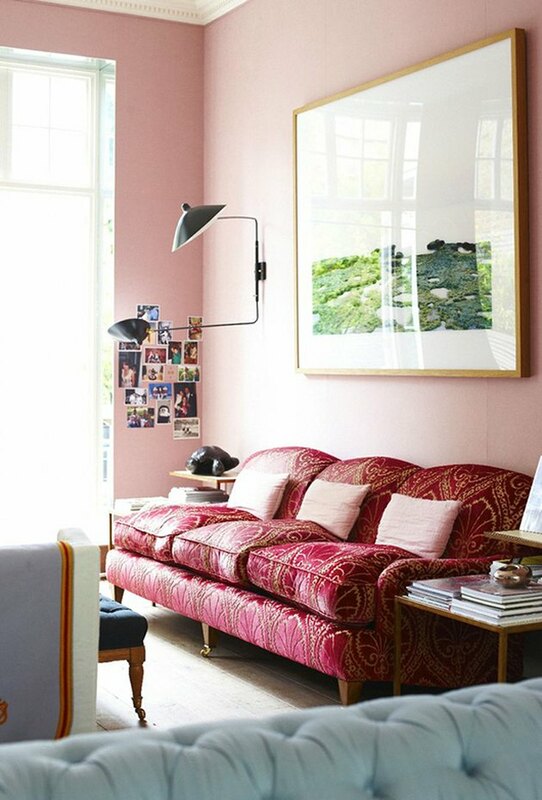 Go all out with pink, and like this sitting area, sprinkle in a hint of red with a sofa or an art print. We want to curl up in this warm and inviting room ASAP. 12. And here's another one for good measure. If the idea of decorating with pink and red still scares you, here's another example —because why not? A red sofa and soft pink walls strike a subtle balance in this eclectic living room. And while the two colors set the tone, the end result is probably not as overwhelming as you initially thought it would be. So go ahead, give it a try!